No Call out Charges in Caterham - EVER! discovered the most trusted and best-loved local electrician in Caterham. 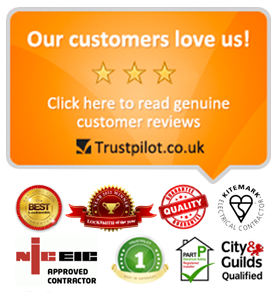 You have just discovered the most trusted and best-loved local electrician in Caterham. We are Mr. Electric in Caterham and we know that when you need an electrician in Caterham, you want someone who you can trust, who can get the job done quickly, of super high quality and also for a great price. If this sounds like you then we believe we have the perfect Electrician in Caterham for you. In fact trying to get an emergency electrician in Caterham to actually answer your call AND actually come out to you in your hour of need has been getting progressively harder and harder in Caterham over the years. Thankfully, your search for a reliable emergency electrician in Caterham has just come to an abrupt end now that you have found Mr.Electric Caterham. We have Steve, our emergency electrician in Caterham standing by for your call no matter what your situation is right now. Daniel is head honcho of Mr. Electric Caterham and is an NICEIC qualified electrician in Caterham with over 10 years experience. Daniel really knows his stuff. As a dedicated and local Emergency Electrician in Caterham Daniel can respond quickly and he knows Caterham like the back of his hand so you can always expect a speedy response. Daniel will be out to you as soon as possible to diagnose the issue and fix it before it becomes an even bigger problem. Our local emergency electrician in Caterham is ACTUALLY based in Caterham! We come to you for FREE – No call out charge in Caterham…EVER! Let’s face it…call out charges in Caterham are just a rip off! We only charge for the work we do! We are not just ‘electricians’ we are NICEIC Qualified Electricians in Caterham. For your peace of mind all our Qualified Emergency Electricans in Caterham believe in a ‘Cowboy-free Zone’. None of that confusing ‘by-the-hour’ pricing for our Caterham customers. We won’t rip you off in a crisis! Our emergency electricians in Caterham give you fixed prices and work until the job is done. All work in Caterham is guaranteed for 12-months! Emergency Electricians in Caterham that never clock off! Unlike other electricians in Caterham we are on-call 24/7 and 365 days per year. We help over 1,000 happy customers in Caterham every year! Whatever your electrical problem, our qualified emergency electricians in Caterham will be out to you as soon as possible. You need an emergency electrician in Caterham! Whatever your electrical problem, Mr. Electric in Caterham is your local emergency electrician in Caterham for both commercial and residential customers. Our Caterham electricians are all locally based, ensuring you get great service and a swift response when you call…EVERYTIME! Steve heads up our team for emergency electricans in Caterham and he is immensely passionate about always putting YOU first and helping you get out of your electrical crisis as quick as possible. We always provide a free quote before any work is undertaken and we offer our famous ‘fixed price’ service so you have peace of mind that there will be no ‘hidden extras’! As leading emergency electricians in Caterham we have to comply with Part ‘P’ of the Building Regulations so that you can live in a safer home or work in a safer business premises in Caterham. 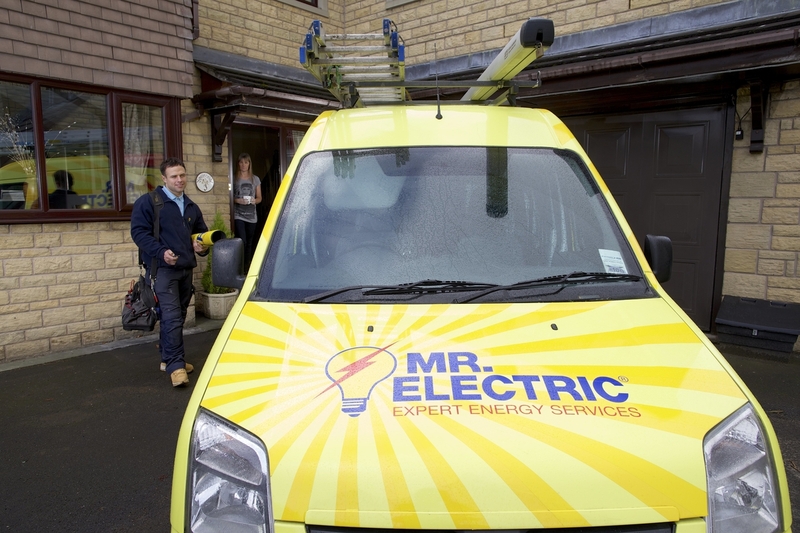 Just another reason to choose Mr. Electric – the regions best-loved emergency electricians in Caterham. Unlike other property emergencies, electrical work must comply with the Building Regulations (Part P), requiring electrics to be designed and installed safely as laid out in British Standard BS7671:13 and IEE wiring regulations. That’s why, at Mr. Electric Caterham, our emergency electrician in Caterham is NICEIC certified and repairs all electrical problems to BS7671:13 Part ‘P’, unlike other emergency electricians in Caterham. If you are at a commercial property, Electricity at Work (1989) will also come into play – but don’t worry, we have the experience and are qualified electricians for both residential and commercial properties, making sure whatever we do to fix your problem, will be compliant with all UK regulations. Even before we have arrived, we’ll talk you through your options and part diagnose the problem. Maybe you’ve got damaged cables in the walls? Water’s leaked into your electrics? The power keeps tripping? We will run a number of diagnostic tests using the latest equipment to isolate the problem and fix it as quickly as possible with minimum fuss. Call the most trusted and best-loved qualified emergency electricians in Caterham to help you. Discover the 7 reasons why over 1000 customers a year choose Mr. Electric as their first choice electrician in Caterham. Our local electrician in Caterham is ACTUALLY based in Caterham! 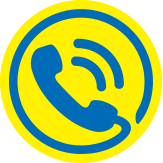 We come to you for FREE – No call out charge in Caterham …EVER! Let’s face it, charging call out charges for an electrician in Caterham is just a big rip off! We only charge for the brilliant work that we do for you! We are not just any old ‘electricians in Caterham’ we are NICEIC Qualified Electricians in Caterham. For your peace of mind, you can rest easy knowing all our electricians in Caterham will keep you safe and will always believe in a ‘Cowboy-free Zone’. Trusting an electrician in Caterham is critical…that’s why we are so upfront with you and give a fixed price quote, and then work until the job is done. All work by your electrician in Caterham is guaranteed for 12 months! Contact your electricians in Caterham now…’cos we never clock off! Our electricians in Caterham can help you with, err…EVERYTHING actually. YES! If it’s anything to do with your home electrics our electrician in Caterham can do it for you! Imagine a reliable and qualified reliable electrician in Caterham being able to do almost anything else you can think of, that to do with your home or business electrics…you just imagined our Mr. Electric electrician in Caterham. 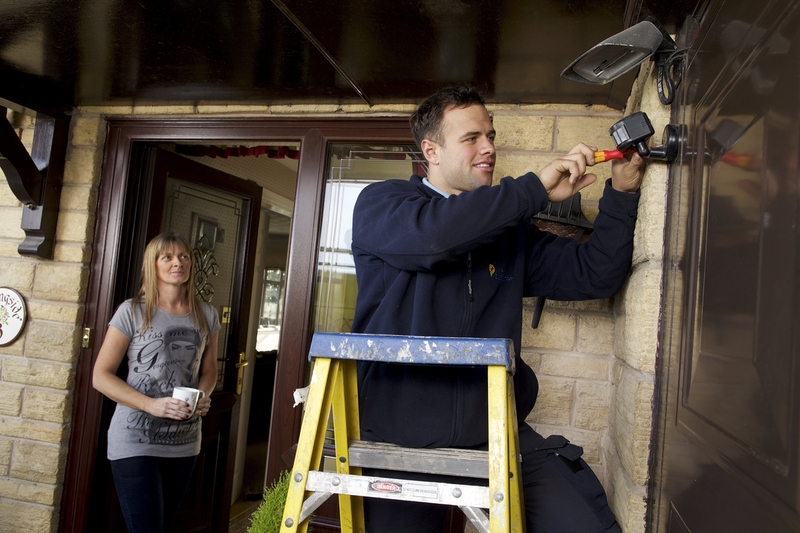 Mark and his team of highly qualified electricians really respect your home. In fact they will treat it like it was their own. As the leading Electrician in Caterham Mark and his team know that the most important things to you can often be the little things. Every Mr. Electric electrician in Caterham wears shoe-covers and always puts down our signature ‘Mr. Electric floor protecter’ too, so your home stays as it should be. You never know when you are going to need an electrician in Caterham however, when you do need an electrician in Caterham we feel it’s important for you to feel like you are going to be cared for and looked after properly from the moment you call. Mark and his team of Electricians in Caterham are always going the extra mile for you and because they grew up in Caterham they’re likely be able to get to you quickly because they really know their way around town. They thrive on ensuring you feel like you’ve had nothing but the very best service before they leave you and will always ask if you are happy with the work. Mark’s team operate a 24/7 365 days a year service. They even work Christmas day if needed, just incase you require an electrician in Caterham in a crisis. Need an Electrician in Caterham? The most trusted and best-loved electrician in Caterham is here to help you. Tell us what you need help with and we’ll get one of our electricians in Caterham right on it for you.